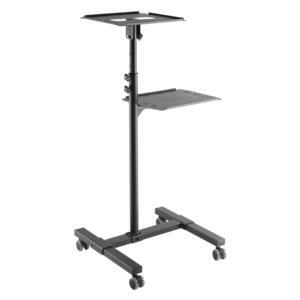 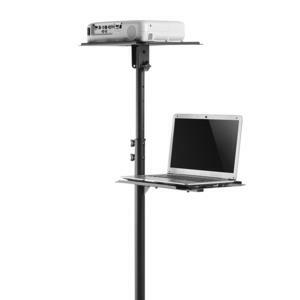 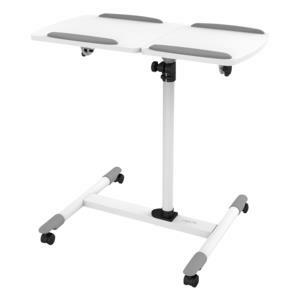 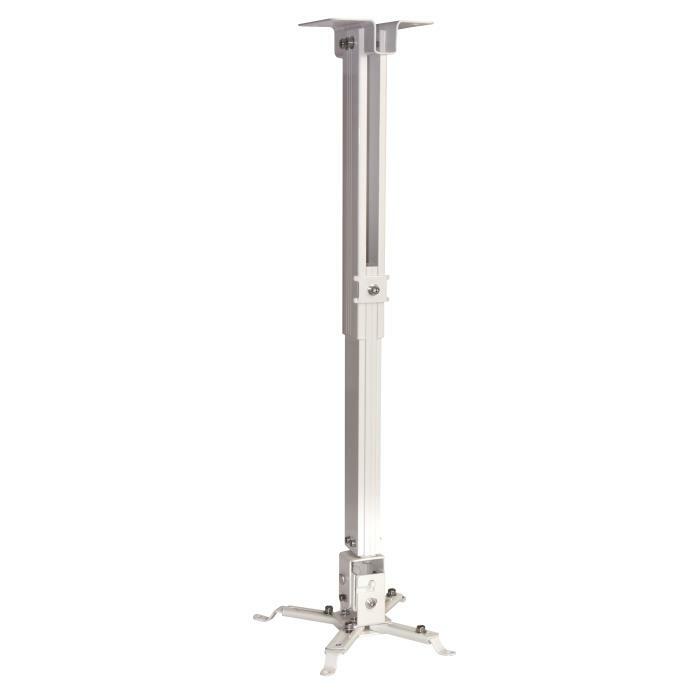 Overview:This height adjustable trolley is a very versatile unit with a large surface to hold projector, laptop, mouse, cup, books and more. 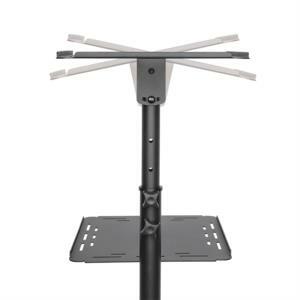 Upper shelf can be tilted 12° up and 12° down to optimize best angle, while raised edge keeps your device from sliding off. 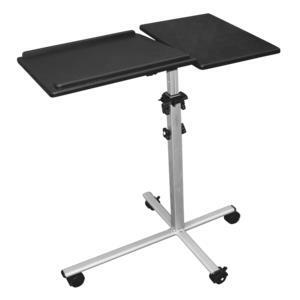 Movable design with four casters offers extra stability.